With the age many changes takes place in our body one of which is sagging skin. Skin loses its youthfulness and start to become loose, dull and old looking particularly in neck area, due to depleting of collagen and elastin of skin. Sun exposure is also one of the reasons for skin to lose its elasticity. Ultra violet rays of sun damage the skin cells which over a period of time can increase the effects of aging on skin. These sun rays break down the collagen and elastin that may lead to sagging of skin and wrinkles. Another reason of sagging of skin may be losing of weight drastically within a short span of time. Skin also tends to sag due to pregnancy. Sagging of skin affects both men and women. There are some ways to get relief with this problem. Some may like to take Botox injection, although this involves injecting harmful chemicals and does not last long. Another method to overcome this problem is firming up skin through cosmetics surgery. 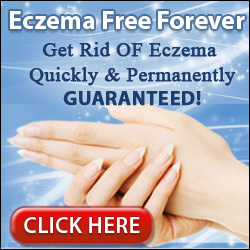 This procedure is quite expensive and painful and beyond the reach of most of the people. There are also some natural remedies that are also quite effective cheap and safe. Minimize the exposure to sun particularly during noon when intensity of ultraviolet rays is very strong. Always apply sunscreen half an hour before going out. Take daily diet which is rich in Vitamin C and E. Vitamin C helps to promote production of collagen. Vitamin E has antioxidant properties that protect and repair the skin and neutralize the oxidant effects of free radicals. You may find vitamin C in papaya, kiwi, oranges, blueberries and broccoli etc. whereas vitamin E is available in almonds, sunflower seeds, yams and germ oil. Do not smoke as smoking causes skin to sag and age quickly. Smoking causes shrinking of blood vessels thus decreasing the flow of blood and deprives the supply of sufficient quantity of oxygen and nutrients to the skin. Smoking also damages collagen and elastin. Keep your skin hydrated. Drink sufficient quantity of water every day to prevent the skin from turning scaly and dry as dry skin is more prone to sagging. Fresh fruits like water melon, oranges and pineapples are rich source of water and will help in hydrating the skin. Exfoliation of skin removes dead cells, open skin cell from the surface and promotes circulation. This can keep your skin vibrant and in good health. Do not allow face mask to dry for a longer period as drying may also harm to your skin. Skin firming masks, Facial exercises, and skin tightener are the natural way to slowdown the effect of aging on skin and reduce the effect of sagging skin.